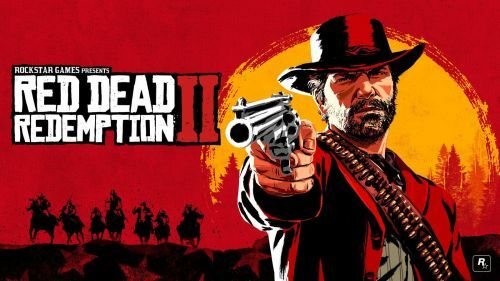 Red Dead Redemption 2 is the much-awaited prequel of the Red Dead Redemption. I have already explained why Red Dead Redemption 2 is one of the best Open-World games of all time. Last time I shed some lights on others aspects of the game. However, this time I’m writing about the graphical brilliance. I do think the development team deserves one shout out for their amazing job. Why? Read further and obviously play the game to find out. Today we will be focusing more on the physics, animation, environment, emergent game-play and atmospheric. Physics- Character Physics has always been a strong point for Rockstar gamer. Rockstar took the unusual step of integrating euphoria physics middleware into the rage engine in Grand Theft Auto 4. Rage and it’s resultant Physics interaction elevated sandbox gameplay in GTA from the expected running and gunning into something more. At times appallingly realistic simulation of violence. Euphoria was toned down a bit in the next iteration. Well, I’m glad to let you all know that euphoria is definitely making a comeback in Red Dead Redemption 2. Red Dead Redemption 2’s more refined implementation of euphoria is easy to see at the 2 minutes and 3-second mark in the second gameplay trailer. Arthur shoots a bounty hunter on the horseback and as the bounty hunter falls he actually extends his hand to try to cling to the horse for a moment. Euphoria uses a biomechanical simulation of characters tied to their musculoskeletal and nervous systems. This results in emergent animations or characters behave as they might in real life. Knock a dude off his horse and he will most likely scramble to hold on to it for a moment longer. It does not make much sense to talk about Red Dead Redemption 2’s animation as Red Dead Redemption 2 with euphoria does not have the canned animation you would expect it to have. Instead each physical interaction of a character or characters in informed by an approximation of what they do in that situation in real life. At the 3 min and 15-second mark in the second gameplay trailer Euphoria adds additional impact to the rough and tumble of a brawl. A part of character animation improvements to the physics engine is evidenced elsewhere. For starters, there is hair physics now. As seen at the 4 minutes and an 8-second mark of the first game-play trailer the long-haired bandit’s hair flows as he falls. While hair works may get some flacks for being a proprietary platform but the effects have done much for the in-game hair rendering. Gone are the days of hair helmets and purposefully short haircuts of last gen. Instead, we now have realistic and animated tresses of hair across a variety of titles. Environmental physics has also received a significant upgrade in Red Dead Redemption 2. As mentioned by Rockstar in an IGN interview, You will have the ability to burn structures down in the game. This was evident in the trailers where the fire appears to propagate over a small area. Moreover, at 2 min 22 seconds into the second gameplay trailer we see Arthur taking on a Stagecoach which is then lit on fire. Vehicular destruction has been a part of Rockstar game projects since the earliest 3D era games. Vehicular destruction and Rockstar games, a better love story than Twilight. Since Red Dead Redemption 2 brings you the 19th-century Stagecoaches, I am confident you will be able to do some vehicular mayhem.